Home health workers at all levels are singularly focused on providing the best possible patient care, and the time spent with each patient is critical. But the way a patient’s request for care is handled behind the scenes is just as critical. In addition to knowing the basics—who the patient is, their address and the reason they need care—Ankota’s vision for optimal home care takes much more into consideration. Knowing which workers have the right skills, which nurse or health aide has seen the patient before, the best protocol of care, and how we can service our patients with minimal drive time are key components to providing patients with the best care possible. 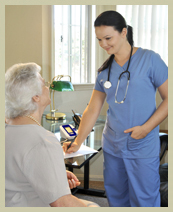 The Ankota Home Healthcare Scheduling Software is based on mature and proven optimization technology. The home care scheduling software considers all of the above factors and helps the care agency determine and organize assignments and routes. This allows the health workers and supervisors to keep their focus where it should be, on patient care. Geography – including where each worker starts and ends the workday, as well as patient locations. Continuity of care – ensuring that the same nurse or practitioner sees the patient for similar or ongoing treatments. Type of visit – For example, if there are treatments requiring a patient to fast, the system can make sure to schedule them early in the morning. Competitive Time Windows – Sometimes signing up a patient requires being more accommodating than your competition. Ankota lets you specify appointment windows by service type, so if offering two hour (or even one hour) appointment windows will help your company earn more business, Ankota will give you the flexibility to do it. Customer availability – If you have a customer who is never home on Tuesdays or Thursdays, Ankota lets you input this information to their customer profile and the scheduling system will work around the time constraint. Respecting your workers' “whole lives” – Many great nurses are in home care because it gives them more control over their lives and their hours. In addition to tracking unique shift patterns, Ankota will let you schedule non-work appointments for your senior workers. So if you have a nurse who needs to attend a child’s school function, this can be built into their plan. “Best” appointment scheduling – When Ankota offers you the available appointment windows, it lists them in the optimal order, so finding the appointment that will minimize drive time is as simple as starting at the top of the list. Experience a 10 to 15% reduction in their driving time and mileage. They can also save up to an hour a day with less time spent planning their schedule and researching driving directions. Be able to see 2-3 more patients per week. Drivers who deliver durable medical equipment (DME), supplies or medications are likely to experience more than a 20% reduction in driving time and miles. And, most importantly, your valued healthcare work force will spend more time caring for patients. 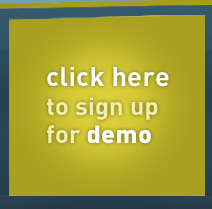 View our Demo to see how you can streamline the delivery of home healthcare. 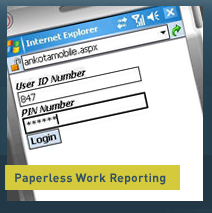 Ankota offers immediate cost savings and increases your productivity.